MORE TEACHING ON TORAH, THE LAW OF MOSES. Shalom. Our teaching from Torah, The Law of Moses will be from Exodus 34.25-28. And the title is, More Teaching on Torah, The Law of Moses. So with that said, let’s read EXODUS 34.25-28. EXODUS 34.25 Leavened bread is bread that adds leaven to the dough that causes the bread to rise, such as white bread or challah. The Commandment of GOD is that leavened bread shall not be offered with GOD’s sacrifices. But rather unleavened bread, or matzah was offered with the sacrifices made to The LORD. Also, Messiah said, Take the matzah and eat it. This is My Body. The true family of GOD, according to Torah in Exodus 19.5-6, are A KINGDOM OF PRIESTS. That will take effect in the 1,000 year Millennium, and throughout Eternity. The true family of GOD are those who believe in Messiah Yeshua for Atonement, and like the prophets, disciples, apostles, and Messiah Himself, they obeyed GOD’s Law of Moses. And the children of Israel ate the flesh of the Passover lambs, Matthew 26.26 in the night, roasted with fire, and unleavened bread. Exodus 12.8 And the Passover lambs that were killed, GOD commanded that nothing of them shall remain until the morning. And what is left until the morning was to be burned with fire. Exodus 12.10. Messiah Yeshua lived His life on earth, even dying according to Torah, the Law of Moses. Peter wrote in 1 Peter 2.21 that Messiah is our example that we should follow His steps. The New Covenant was fulfilled in Messiah Yeshua’s death on Passover. And this is how The Bible describes The New Covenant written in Jeremiah 31.31-34 that delivers us from our sins. When we receive Messiah Yeshua Who is The New Covenant, GOD puts His Law of Moses in our inward parts, our minds, and writes it in our hearts, to obey Him. Then GOD, through belief in Messiah Yeshua, and obedience to GOD’s Law of Moses becomes our GOD, and we become His people. And our sins are atoned for. All our sins are forgiven. But unfortunately, and it is unfortunate, many try to, and most succeed through deception in pulling GOD and His Law out of us. When GOD’s Law is pulled out of the individual, that person again becomes lawless, without GOD because of disobedience to Him, having no Holy Spirit, and without Salvation. Unfortunately, that’s what is being taught today that The Law of Moses is of no effect in Jesus Christ. That is a deception and lie that leads to destruction. Those who claim to be Torah observant must believe in Messiah Yeshua for Atonement, and must be obedient to Torah, the first five Books of The Bible. The word testament is never written in Tnakh, The Old Testament. Therefore I believe that the words New Covenant as promised by GOD to the Jewish people in Jeremiah 31.31-34 are more fitting than the words New Testament. The word testament according to Webster’s Dictionary is a legal document disposing of one’s personal property after death. A testament is a will. Thus a person inheriting the estate doesn’t have to do anything to inherit it. On the other hand, the word covenant, as in The New Covenant, GOD promises something and the people MUST do something. In The New Covenant, GOD commits to put His Law in our hearts and minds, and forgive us our sins. And we are committed to obey GOD. And by obeying GOD’s Laws, His Law of Moses, GOD becomes our GOD, and we become His people. And GOD forgives us all our sins. THE TEACHING today of The New Testament in most cases does not commit anyone to do anything for GOD once they receive Messiah. But sit back and collect all the rewards from GOD. But that is not GOD’s Way. GOD’s Way is to receive Messiah Yeshua, The New Covenant, and obey GOD, all His Laws that are written in The Law of Moses, and then you receive all GOD’s rewards. And they are many. (Deuteronomy 26.5) Perhaps the Syrian is Laban who sought to destroy our father Jacob. See Genesis 31. When the firstfruits appeared in the fields in Israel, they were tied with a marker and left to grow and ripen. They were then cut and brought with great ceremony to The Temple court. Psalms were sung throughout the journey which was made by as large a group of people as possible. The streets of Jerusalem were beautifully adorned, and those bringing the firstfruits were lavishly welcomed. The main occasion to bring the fruits was during the Feast of Shavuot, called The Festival of the Firstfruits. Shavuot is also called Pentecost that comes fifty days after the first day of Passover. But the giving of the firstfruits could continue to be brought to The Temple until the following Hanukkah. Shavuot comes around the middle of May, or June, while Hanukkah comes late in December. The firstfruits were placed in a basket beautifully decorated, and presented to the Priest, while the donors heard the Priest recite the words of Deuteronomy 26.5-10, saying, a Syrian tried to destroy our father Jacob there, and he went down to Egypt and sojourned there with a few, etc., etc. Thus expressing their faith in The LORD their GOD, the owner of the Land of Israel, Leviticus 25.13. And thanking The LORD for allowing the Jewish people to hold the Land in trust. The Priest then placed his hands on the fruits, and it became his property to give to the Levite, the stranger, the fatherless, and the widow. The entire ceremony was accompanied by the singing of Psalm 30. And the singing was done by the Levites, and followed by sacrificial peace offerings to The LORD. Let’s read PSALM 30. Continuing in our teaching of The Torah, in the last part of Exodus 34.26, GOD commands us, You shall not seethe, that is, do not cook or boil a young goat in its mother’s milk. The reason as I understand this Jewish law of not eating meat and milk together is based on the three Scriptures that prohibit seething a young goat in its mother’s milk in Exodus 23.19, Exodus 34.26, and Deuteronomy 14.21. However, food that is pareve, in Judaism, pareve is a term applied to foods classified as neither milk dishes or meat dishes that may be eaten with either meat or milk. Jewish law has many laws outside of Torah, GOD’s Laws. EXODUS 34.27 And The LORD said to Moses, write these words, for in accordance with these words, I have made a Covenant with you, and with Israel. In other words, write these words down, every word of The Torah I have given you from Genesis 1.1 through Deuteronomy 34.12, for they are the terms and conditions of The Covenant I have made with you, and with Israel. GOD’s Covenant is this. GOD is your GOD, and you are His people. You are holy, special, and chosen by GOD because GOD loves you. Your sins are forgiven through The New Covenant Who is Messiah Yeshua. And eternal life is your inheritance, and more. All that depends on you and me living our life in accordance with all GOD’s Words, His Laws, and His Commandments written in Torah, The Law of Moses, The Words that GOD gave to Moses, along with our faith in the Jewish Messiah Yeshua. John writes in 1 JOHN 5.3, The Law is not difficult. GOD requires His entire Creation, those whom He made in His image, to live by every Word of GOD, Matthew 4.4, Luke 4.4, and do it. That is the foundational teaching of The Bible for all mankind. So in conclusion, I find that the key words of this teaching are the Words GOD spoke to Moses in Exodus 34.27. GOD said, Write these Words, for in accordance with these Words, I have made a Covenant with Moses, and with Israel. GOD’s Words to Moses are the entire Law. And by obeying GOD’s Covenant, His Law of Moses, you will be part of the thousands to whom GOD shows mercy, and the few that find Life, and are Chosen. Posted on June 29, 2014 March 24, 2015 Categories UncategorizedLeave a comment on MORE TEACHING ON TORAH, THE LAW OF MOSES. WHY DOESN’T THE GOD OF ISRAEL DRIVE OUT THE ENEMIES OF ISRAEL FROM THE LAND OF ISRAEL? So let’s read EXODUS 34.23-24. EXODUS 34.23-24 The LORD told Moses that the Jewish men must appear before Him three times in the year at the Tabernacle, and in later years, the Temple. And none shall appear before The LORD empty. And The LORD continues, For I will cast out the nations before you, and enlarge your borders. Neither shall any man desire your land when you shall go up to appear before The LORD three times in the year. GOD commanded the men of Israel to appear before Him on Passover, Pentecost, and Tabernacles. And none were to appear before The LORD empty. And the men must appear before GOD at the place He chooses. That place was the Tabernacle, and later the Temple. The place that GOD chose initially was the Tabernacle that was built in the wilderness of Sinai, Exodus 19.1 immediately after the Exodus out of Egypt. And the Tabernacle remained fully in use in the land of Israel in Shiloh, Joshua 18.1 until the first Temple was built some 400 years later by Solomon in 964 B.C.E. That is the place GOD chose out of all the tribes of Israel to put His Name there. The tribe is Judah, in the land of Judah, in Jerusalem. Thus doing all that GOD says is doing all that GOD commands us. Not doing what GOD says is being empty before The LORD. So now to our question. Why doesn’t The GOD of Israel drive out the enemies of Israel from the land of Israel? GOD said in Exodus 34.24, “For I will cast out the nations before you, and enlarge your borders. Neither shall any man desire your land WHEN you shall go up to appear before The LORD your GOD three times in the year.” So has GOD changed His Mind? Certainly not. Today, Israel and the Jewish people might not be empty before The LORD their GOD, but they are not perfect before The LORD their GOD. The LORD requires us to walk in His Statutes, and keep His Commandments and Laws that are written in The Law of Moses. Being perfect before The LORD our GOD also means having atonement for our sins, Leviticus 17.11. That reconciles us with GOD, giving us peace with The LORD our GOD. Because without atonement, we are still in our sins, and separated from GOD. Even blotted out of GOD’s Book of Life. Thus GOD requires atonement for our sins, and without atonement we are empty before GOD. And that is Israel’s obstacle. That is the hurdle for Jewish people. Having atonement for our sins according to GOD’s Way, and not man’s way. Sin is breaking Torah, The Law of Moses. 1 John 3.4. And atonement comes only from the sacrificial death of Messiah Yeshua Who gave His Life just for that purpose, to forgive us all our sins. Atonement is made no other way. Without it, we are empty. Look, I’m Jewish from Orthodox Judaism. And I certainly know that there is a large number of Jewish people who despise The Name Jesus, or Jesus Christ because of the atrocities certain Christians have carried out against Jewish people over the years, and slaughtered, tortured, and killed millions of Jewish people in The Name of Jesus Christ. I was one of those Jewish people who despised The Name Jesus Christ. I thought He was the anti-Semitic leader of Christianity Who was responsible for all the Christian killings of Jews. But I was so wrong. Jesus, or Yeshua is our Messiah. He’s a beautiful Person. He’s Elohim, The GOD of Israel Who chose us to be His Chosen People because He loves us, Deuteronomy 7.6-8, and to be His witnesses to the world, Isaiah 43.10. Yeshua, or Jesus had absolutely nothing to do with Christians killing Jews. The blood is on Christian hands, but today there are many Christians who are the best friends Israel has. And most Christians and Jews have no idea why Jesus, or Yeshua The Messiah was killed on a Roman cross in Jerusalem. Why was He killed? For one purpose, and one purpose only. To be our Atonement. To forgive us all our sins. He is our Sacrifice. It is GOD’s Plan that Messiah, Who is GOD Himself, then as a human being would give His Own Life to forgive our sins. That is remarkable. And that is extraordinary love for His People. And that is The New Covenant that GOD promised the Jewish People in Jeremiah 31.31-34. GOD will put His Law, His Torah in our inward parts, and write it in our hearts, and He will be our GOD, and we will be His People. For GOD will forgive our iniquity, and remember our sin no more. That is The New Covenant. ISAIAH 52.13-15, ISAIAH 534, PSALM 22, ETC. GOD told the Jewish prophet Daniel when Messiah would be killed. This prophesy was written some 500 years before Messiah’s death. And the prophesy says that Messiah would not be killed for any sin He did, but for the sins of GOD’s Jewish People. Daniel prophesied that Messiah will be killed before the destruction of Jerusalem and The Temple. That happened in 70 C.E. when the Romans carried out the prophesy. Messiah was killed in 33 C.E., before the Romans destroyed Jerusalem and The Temple. That prophesy is written in DANIEL 9.26. When you look at Verse 24 in Daniel 9, you will see that Messiah’s death makes reconciliation for iniquity. The Hebrew word for reconciliation is KAH’FAR meaning, to make an atonement. So when Israel and all the Jewish people come to acknowledge and receive their Messiah Yeshua for the atonement of all their sins, then will GOD drive out the nations from the land of Israel. He will then enlarge the borders of Israel to the Euphrates River, from the river of Egypt to include Lebanon, much of Syria and Iraq, the Sinai, and much of Jordan, and all Israel today. Those are the borders of The Israel of GOD spoken by GOD and written in Law. l desire our land, the land of Israel when we appear before The LORD our GOD, none appearing before Him empty, but perfect, doing what GOD requires. Obeying GOD, and having atonement for our sins through Messiah Yeshua. Israel has another problem in the Eyes of GOD. Israel continues to host one of the largest gay parades in the world in Tel Aviv. Why do the Jewish authorities in Israel allow such a thing? They should know better that homosexuality is an abomination. It is written in Torah. (Romans 1.28) a reprobate mind does not obey GOD. See 1 Samuel 15.22-23. Rejecting The Word of GOD is being reprobate. Isaiah writes that GOD does everything for His purpose. GOD declares the end from the beginning. How a situation will end even before it starts. His Will shall stand, and GOD will do that which He pleases. I believe that anti-Semitism is the Plan of GOD that The Bible reveals in prophesy some 2,000 years before GOD created the Jewish people from Abraham, Isaac, and Jacob. The earth has a beginning and an end. Eternity in Heaven has no end. Anti-Semitism will be used by GOD to bring this world to an end. But GOD will deliver and save many for eternity. That is His pleasure. 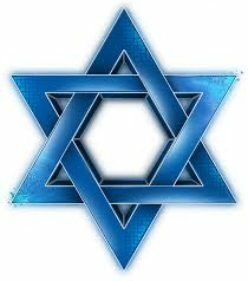 I also believe that GOD tells of anti-Semitism some 2,000 years before GOD created the Jewish people from Abraham, Isaac, and Jacob, and the twelve tribes of Jacob from whom The Messiah Yeshua was born as a human being, and fully GOD. Isaiah 9.6(5). And it will be Messiah Yeshua Who will deliver and save many Jewish people and non-Jewish people, for eternal life in Heaven for GOD’s pleasure, and for His purpose. The enmity and hatred is anti-Semitism. The enmity and hatred is between satan and his huge number of helpers and The Woman. The Woman is Israel and the Jewish people. Revelation 12. In a time to come, the Jewish Messiah, the seed of The Woman will destroy satan. REVELATION 20.1-3, 7-10. satanic events (for GOD’s purpose) killed Messiah by Roman Gentiles, though we handed Messiah over to the Romans for death. (GOD’s purpose for Atonement.) Messiah’s death, as the whole world knows was not permanent. He rose from the dead on the third day after His death, and 40 days later, He ascended into Heaven where He dwells today. Messiah is The GOD of Israel. About 2,000 years after this prophesy of Genesis 3.15, anti-Semitism began in earnest with 400 years of Egyptian slavery. And amazingly, that was for our good because GOD made Israel a great nation in Egypt. Genesis 12.2. And from the Jewish people came the entire Bible, The Word of GOD. And The Messiah Yeshua comes from the Jewish people from the Tribe of Judah; a descendant of King David. Matthew 1.1. Thus, in the Jewish people, all the families of the earth are blessed. Genesis 12.3. But anti-Semitism continues, and continues to spread globally. The nations find fault with Israel and the Jewish people for no reason. It is GOD’s Plan. But a future seven year peace treaty will soon come into being between Israel and most likely the Palestinians. Israel will be allowed to build their Temple in their own land. But after 3 1/2 years of peace, someone known as the anti-Christ who opposes GOD by speaking against GOD. He will afflict the Jewish people, and try to change GOD’s Times and His Laws. And will in all likelihood set up idols in The Temple. He will destroy the peace treaty, and his abominations will bring the wrath of GOD upon The Temple, and on the nations. That will be a very difficult time for Israel. But fatal for the nations. For GOD will gather all nations against Jerusalem to battle, to destroy the nations. But GOD will save Israel and the Jewish people. That will be the end of anti-Semitism. And The LORD will return to Jerusalem with all His holy ones. And The LORD GOD, Messiah Yeshua will be King over all the earth. And Israel throughout its new borders to the Euphrates River will experience unprecedented peace for 1,000 years for all whom GOD delivers and saves, those who are perfect with GOD, obeying GOD’s Torah, His Law of Moses, and having atonement by Messiah Yeshua. And after the 1,000 years of peace, and songs, and everlasting joy, Isaiah 35.10, GOD will create new heavens, and a new earth called the Holy City, New Jerusalem that will come down from GOD out of Heaven prepared as a bride adorned for her husband. That is Heaven, eternity where GOD’s family from all the nations and languages will serve Him. Daniel 7.14. So in answer to the question, why doesn’t The GOD of Israel drive out the enemies of Israel from the land of Israel? Because today, Israel, GOD’s Chosen People the Jewish People do not meet the high standards that GOD requires of us. That is, being fully obedient to Torah, GOD’s Law of Moses that requires atonement for our sins by the sacrificial death of our Messiah Yeshua. And until the time of Messiah’s return when we Jewish people will receive Him as our Atonement, Leviticus 17.11, the fight continues with the Palestinians and the nations. Posted on June 19, 2014 Categories Uncategorized1 Comment on Hello world! WHY DOES GOD CALL HIMSELF THE GOD OF ISRAEL? So, with that said, let’s read EXODUS 34.23. Three times in the year shall all your men appear before The LORD GOD, The GOD of Israel. The men were commanded by The LORD to appear before Him at the Tabernacle, and later at the Temple during Passover, Shavuot which is The Feast of Weeks, and also called Pentecost, and Sukkot, also called The Feast of Booths or Tabernacles. And they were not to appear before The LORD empty. And The LORD explains what that means NOT to be empty before The LORD but rather filled, filled with The Spirit of GOD. Exodus 31.3. So, the question is, Why does The GOD of Creation call Himself The GOD of Israel? Yeshua The Messiah Who Himself is The GOD of Israel, teaches in The New Testament that Salvation is from the Jews. John 4.22. Salvation is DELIVERANCE from all your sins, and DELIVERANCE from hell; Salvation is being HELPED and AIDED by The LORD your GOD, always, having VICTORY in life over all adverse circumstances, having PROSPERITY, certainly in The LORD your GOD. And Salvation brings HEALTH and HEALING. And Salvation is being SAVED, given the gift of eternal Life in Heaven. Messiah, The GOD of Israel, does not say Salvation is from the Gentiles. Nor does He say Salvation is from the Christians. Messiah Yeshua, The Holy One of Israel says, Salvation is from the Jews – because Salvation comes by obeying every Word, every Law, and every Commandment that GOD gave to the Jewish people. And believing in the Jewish Messiah Yeshua for the atonement of all your sins. Israel is written in The Bible 2,567 times. 77 times in The New Testament. GOD is The GOD of Israel because GOD established His Covenant with Israel, the Jewish people. Covenant in Hebrew is BEH’REET. The Covenant GOD made with the Jewish people is a contract. A contract that cannot be broken. A contract that is everlasting. In GOD’s Covenant with Israel, The LORD commits to do certain things for the Jewish people, and the Jewish people commit to do something for The LORD. Usually to obey Him. Here are some key points in GOD’s Covenant with Israel, the Jewish people. GOD established His Covenant between Himself and the Jewish people, Israel, for an everlasting Covenant to be to us our GOD. To give us the land of Canaan, today the Land of Israel for an Everlasting Possession. And GOD will be our GOD. To make of Abraham a great nation. And Israel is a great nation. And GOD will bless those who bless the Jewish people, and He will curse those who curse the Jewish people. And in the Jewish people, all the nations of the earth will be blessed. And GOD’s Covenant continues. GOD has made the Jewish people a holy people to Himself. The LORD has chosen the Jewish people to be a special people to Himself above all the people that are upon the face of the earth. The LORD did not set His love upon us, nor choose us because we were more in number than any people, for we are the fewest of all people. But because The LORD loved us, and because He would keep the oath which He had sworn to our fathers Abraham, Isaac and Jacob. As a point of information, the world’s population of Jewish people is about 14 million. Israel has a population of 8,180,000 of which 6,135,000 are Jewish, 1,694,000 are Arabs, plus other peoples. Another very important part of GOD’s Covenant is for the Jewish people to be His witnesses, and His servant whom He has chosen, to know and believe GOD, that there is only one GOD, The GOD of Israel. And before Him was no god formed, neither will there be after Him. exposing our sins. But GOD established us, His Jewish people to tell the world all about Him, and the world can read of The LORD GOD ALMIGHTY in The Bible, what GOD requires of mankind in living their lives. That is to love Him, and serve Him by obeying His Laws, His Commandments, and His Statutes that are written in The Torah, GOD’s Laws that are written in The Law of Moses that GOD gave to Moses speaking to him Face to face in the Tabernacle, in the Holy of Holies, in the wilderness, teaching us what GOD requires in living our lives. That applies to Jewish people, and all the peoples of the earth. n to GOD, and opposition to His Laws that are written in The Law of Moses. And they replace GOD’s Laws with man-made laws, removing themselves and their followers far from the Laws of GOD, making them lawless. Thus Yeshua warns us, Beware of false prophets, the false teachers whose fruit oppose GOD, and His Torah, GOD’s Law of Moses. (James 1.25) The perfect law of liberty is The Torah, GOD’s Law of Moses. Messiah’s disciples were all Jewish. They were not Christians. And they had Jewish or Hebrew names. Simon called Peter is Shimon. Andrew is Andrew. James is Ya’akov, Jacob. John is Yo’khanan. Philip is Philip. Thomas is Toma. Matthew is Levi, Mark 2.14. Bartholomew is Bar-Khalfi, son of Alpheus. Lebbaeus is Taddi. Simon the Canaanite is Shimon the Canaanite. Judas Iscariot is Yehudah from K’Riot. Paul the Apostle is Shaul, Saul. Jesus Christ is Yeshua Ha Mashiakh, Yeshua or Salvation The Messiah, The Anointed One Who delivers us from our sins, and saves us, giving us eternal life in Heaven. Shaul, or Paul taught correctly about being grafted in, becoming fully part of Israel, serving GOD, believing in The Jewish Messiah Yeshua, loving Him, serving Him by fully obeying GOD’s Torah, GOD’s Law of Moses written in the first five books of The Bible. Gentiles who do what GOD requires from the Words, Laws, and Commandments GOD taught Israel are grafted into Israel and NOT grafted into Christianity. Part of GOD’s Covenant with the Jewish people is that GOD will bless those who bless the Jewish people, and He will curse those who curse the Jewish people. Genesis 12.3. Those who curse the Jewish people should be prepared for problems. Those who curse the Jewish people by pushing Israel to give their land away, especially to their enemies,the Arabs, should be prepared for bitter judgments. Leviticus 25.23. So why is GOD The GOD of Israel? Because GOD established His Covenant with Israel, the Jewish people to love them, and to be our GOD forever. The Jewish people are GOD’s witnesses to the world to tell all mankind how to live a Godly life, pleasing and holy to GOD. Having all your sins forgiven by the atoning death of the Jewish Messiah Yeshua, and turning to GOD, The GOD of Israel, and living your life according to every Word, Law, and Commandment that GOD gave to the Jewish people for you and all mankind. It’s all written in The Bible of GOD that The LORD appointed the Jewish people to write. Especially in the first five Books of The Bible. Those who live according to GOD’s Ways will be a Holy People, pleasing to GOD. And great, great blessings will come upon you forever from The GOD of Israel. For Salvation is from the Jews. Posted on June 15, 2014 March 24, 2015 Categories Shabbat Message8 Comments on WHY DOES GOD CALL HIMSELF THE GOD OF ISRAEL? THE LORD YOUR GOD, THE HOLY ONE OF ISRAEL HAS ONLY ONE WAY FOR ATONEMENT. Shalom. Our teaching this morning will come from GOD’s Words written in Exodus 34.22, The Torah, that is The Law of Moses. And the title is; “The LORD Your GOD, The Holy One Of Israel Has Only One Way for Atonement”. So let’s read EXODUS 34.22. The firstfruits of the wheat harvest in Hebrew is YOM HA BEE’KOO’REEM, The Day Of The First Fruits. Observe, as in you shall observe The Feast Of Weeks is AH’SEH, meaning Shavuot must be observed, followed, and performed according to GOD’s Word. And The LORD GOD tells us how to observe Shavuot in Leviticus 23. LEVITICUS 23.1-2 Shavuot, along with all the Torah Feasts written in Leviticus 23 are Feasts of The LORD. These Feasts of The LORD are not only for Israel and the Jewish people, they are for all GOD’s Creation. The Torah Feasts of The LORD are for all mankind. They are Sabbath on Saturday, the seventh day of the week, Passover, Shavuot or Pentecost, The Memorial of the Blowing of Trumpets that Judaism calls Rosh Hashana, The First Of The Year. Followed by Yom Kippur, the Day of Atonement, and Sukkot, The Feast Of Tabernacles. All these Feasts of The LORD are Holy Convocations. Meaning they are special days for the people to come together for a Service that is Holy, Dedicated and Devoted to The LORD your GOD. They are GOD’s Feasts that He appointed for a fixed time every year. And should be observed by all mankind seeing they are The Feasts of The LORD. LEVITICUS 23.15.21 Shavuot, The Feast Of Weeks is fifty days from the first day of Passover. Or seven Sabbaths or seven weeks from the second day of Passover. Thus the appointed time for Shavuot every year is fifty days, counting from the first day of Passover. Shavuot was this past Wednesday, June 4th from sundown Tuesday to sundown on Wednesday. GOD’s instructions for Shavuot are that two loaves of bread baked with leaven from every household were to be brought to The Temple. They represented the firstfruits of the wheat harvest to The LORD. Perhaps today, two loaves could be brought to your Synagogue or Church for The LORD thanking Him for the new wheat harvest. And a celebration to The LORD could be held after the Service that would include the loaves of bread, and much more food according to GOD’s food Laws taught in Leviticus 11, and Deuteronomy 14. THE SACRIFICE AND SHED BLOOD WAS THE ONLY WAY FOR ATONEMENT. As Rashi wrote in the Talmud, Let one life be offered to atone for another. Also with regard to Shavuot, a male goat was sacrificed for a sin offering, and two lambs of the first year were sacrificed for a peace offering. Peace offering in Hebrew is SH’LAH’MEEM for thanks and peace, and for atonement. Shavuot is a day for a Holy Convocation, or a Holy Gathering of the people for a Service devoted to The LORD Our GOD. No work of any kind is to be done on Shavuot. It is a Statute forever wherever you live throughout your generations. And since Israel and the Jewish people, those whom GOD chooses and saves, Shavuot and all The Feasts of The LORD will remain forever, and observed forever. (Zechariah 13.6-9) Messiah was crucified and killed for one purpose and one purpose only. To be our Atonement. Messiah’s Atonement is prophesied by The LORD GOD throughout TNAKH, The Old Testament Scriptures. See Isaiah 53, and Psalm 22. The Romans drove stakes into Messiah Yeshua’s Hands to bind Him to the cross. And when Messiah will be questioned in The Millennium, The Messianic Era, “What are these wounds in Your Hands”? He will answer, “Those with which I was wounded in the house of My friends”. In Hebrew, “in the house of My friends”, is BAYT M’AH’HAH’VY meaning, In the house of those I love. When it is said that GOD’s love is unsearchable, GOD’s love IS unsearchable. No one loved Israel and the Jewish people as Yeshua The Messiah, even unto death. And when Messiah was taken to be killed, His disciples scattered. Matthew 26.54-56. And GOD will refine those whom He chooses and saves. Many Jewish people will enter The Millennium and see their Messiah Yeshua, Zechariah 12.10, and believe in Him, and turn to The LORD their GOD and live according to Torah, GOD’s Law of Moses. Again, The Feast of Weeks in Hebrew is KHAG SHAVUOT. The Hebrew word for Feast is KHAG also meaning a festival, to be giddy, celebrating and dancing. Shavuot is a festive and joyous holiday. Interestingly, in EXODUS 5.1 Moses said to Pharaoh, Thus saith The LORD GOD of Israel, Let My People go that they may hold a Feast unto Me in the wilderness. The Hebrew for holding a Feast to The LORD is V’YAH’KHOG’OO from the Hebrew word KHAG for Feast. Thus Moses said to Pharaoh, Thus saith The LORD GOD Of Israel, Let My People go that they may hold a Feast to Me in the wilderness to dance, and celebrate and rejoice. And Pharaoh said to Moses, (Verse 2), Who is The LORD that I should obey His Voice to let Israel go? I know not The LORD, neither will I let Israel go. Pharaoh soon found out Who The LORD is, and he let Israel go. The word KHAG not only means Feast, it also means a sacrifice, a sacrifice for atonement, for the forgiveness of sins. KAH’FAHR meaning, cancel our sins, forgive our sins, pardon and purge away our sins, make reconciliation with GOD, and cleanse us of our sins. The LORD required sacrifices for atonement daily to forgive the people their sins. The sacrifice continued until the second Temple was destroyed by the Romans in 70 C.E. And because there is no Temple today, GOD decrees there shall be no sacrifice. Leviticus 17.8-9. Messiah, Who is GOD Almighty, The Holy One Of Israel, was at the time of His crucifixion for atonement, 100% human. He was ordained to be killed around 33 C.E. to be our atonement. Psalm 22.1. GOD never left His People without a sacrifice for atonement. Messiah Yeshua’s atoning death is the only way to obtain atonement from The LORD GOD Of Israel. There is no other way. The Day of Atonement in Hebrew is YOM HA KEE’PUR’EEM meaning the Day of Atonements. The reason for atonements, plural, I believe, is because The LORD required the children of Israel to have their many sins atoned for every day, and during the Festivals, many times. Every Feast of GOD reminds us today that we need a sacrifice for the atonement of our sins. It is a requirement of GOD according to His Word throughout Scripture. There is no other way. The title of our message is, The LORD Your GOD, The Holy One of Israel has only one way for Atonement. Atonement must be by the blood, for it is the blood that makes atonement for the soul. LEVITICUS 17.11 And The Blood that makes atonement for our soul is the Blood of The Jewish Messiah Yeshua. That is according to The Word of GOD in prophesy in Psalm 22, Isaiah 53, etc. And Messiah’s First Coming recorded in the New Testament or more correctly the New Covenant fulfills all GOD’s prophesies for Atonement. It is The Word of GOD. There is no other way for atonement except by the sacrificial death and shed blood that GOD ordained by Messiah Yeshua, The Promised Messiah to the Jewish People. JEREMIAH 31.31-34. Atonement with GOD CANNOT be achieved through payment of compensation for a wrong committed. Atonement with GOD CANNOT be obtained by suffering or through the performance of certain rituals, even with repentance, or correcting the state of your life. Those are the laws of man and not the Laws of GOD. GOD in His Torah says, “It is the blood that makes atonement for the soul”. Leviticus 17.11. And the blood that makes atonement for you and me and everyone is The Blood of The Jewish Messiah Yeshua. The Talmud includes numerous laws created by man and teaches that the shed blood atones for sins committed in ignorance or unwittingly. And the Talmud incorrectly insists that no sacrifice could avail for the sins committed deliberately. But according to The Word of GOD, the shed blood of past animal sacrifices, and more importantly for us today, THE SHED BLOOD OF MESSIAH YESHUA ATONES FOR ALL OUR SINS. And that also is according to The Word of GOD. So yes, there is only One Way for Atonement to have all your sins forgiven, and that is by the Atonement GOD appointed for the Jewish People and all Peoples. GOD’s atonement is by The Promised Jewish Messiah Yeshua, The LORD Your GOD, The Holy One of Israel Who loves you so much He voluntarily gave His Life to forgive every one of your sins, and for your Peace, and your Health, for your Salvation, and Deliverance from evil, and for your Redemption by the LORD Your GOD to be His. Posted on June 8, 2014 March 24, 2015 Categories Uncategorized3 Comments on THE LORD YOUR GOD, THE HOLY ONE OF ISRAEL HAS ONLY ONE WAY FOR ATONEMENT. Shalom. Today is Shavuot. In Hebrew Shavuot means Weeks. Another non-Jewish name for Shavuot is Pentecost which in Greek means fiftieth. And GOD’s appointed time for Shavuot is exactly 50 days after the first day of Passover. Today is the 50th day after the first day of Passover. Shavuot is observed in Judaism for the giving of the Torah on Mt. Sinai. The Torah is The Law of Moses that includes the Ten Commandments. And Shavuot also celebrates the harvesting of wheat in Israel, and the ripening of the first fruit in the Holy Land. And Shavuot is a Sabbath. On Shavuot, 50 days after Messiah’s atoning death, about 3,000 Jewish people turned to Messiah Yeshua, believing in Him, walking faithfully in the Apostles’ Doctrine, that is the Doctrine of Messiah’s emissaries, following the Ways of The LORD by keeping Torah, The Law of Moses; doing that which is lawful and right, being accepted in the beloved. This morning’s message will be from Psalm 119. Psalm 119 is a narrative from an unknown writer who truly loves GOD and His Torah, The Law of Moses, and he expresses how blessed the undefiled are who walk in The Law of The LORD. That a person’s ways are cleansed by taking heed according to GOD’s Word. And in times of distress, even depression, GOD quickens us, that is GOD revives us. He restores our life according to His Word. The Title for our message this morning is, “And Your law is The Truth”. Not every Verse will be taught this morning because of the Psalm’s great length, but Psalm 119 is one of the most beautiful of writings. So let’s get started. Undefiled in Hebrew is TAH’MEEM meaning those who live by Truth. And The Truth is GOD and His Torah, The Law of Moses. And those who follow Torah, having belief in the Messiah Yeshua are undefiled and blessed. 2 – Blessed are they who keep GOD’s Testimonies, all the Words that GOD speaks, and seek Him with their whole heart. 3 – They do no iniquity. They walk in GOD’s Ways. GOD’s Ways are the Ways of His Torah. GOD lives His own Life according to His Torah, according to His Laws, The Law of Moses. Blessed are they who walk in GOD’s Ways. 4 – GOD commands us to keep His Laws diligently with persevering attention. PSALM 119.9 How shall a young person, even an elderly person cleanse their way? By taking heed according to Your Word, living their life according to Your Word. 10- With my whole heart have I sought You. O let me not wander from Your Commandments. 11- Your Word have I hid in my heart that I will not sin against You. 14- I have rejoiced in The Way of Your Testimonies, every Word that You speak, as much as in all riches. 15- I will meditate in Your Law, and respect Your Ways with pleasure. 16- I will delight myself in Your Statutes. I will not forget Your Word. PSALM 119.17 Deal bountifully, and kindly with your servant, and treat me well that I may live, and keep Your Word. Bountifully in Hebrew is GAH’MAHL meaning kindness, and being treated well. 18- Open my eyes that I may see wondrous things out of Your Law. 19- I am a stranger in the earth. Hide not Your Commandments from me. 21- You have rebuked the proud that are cursed who transgress Your Commandments. 23- Princes also sit and speak against me, but Your servant declares Your Laws. 24- Your Words that You speak are also my delight. They are my counselors. PSALM 119.25 I am in great distress, O LORD. Revive me, and restore my life according to Your Word. 26- I have declared my ways, and You have heard me. Teach me Your Statutes. 27- Make me understand The Way of Your Laws, so shall I speak of Your Wonders. 28- My soul melts for heaviness. Strengthen me according to Your Word. 29- Remove from me the way of lying, and favor me with Your Law graciously. 30- I have chosen The Way of Truth. Your judgments, Your rulings and Your ordinances have I laid before me. 31- I have attached myself to Your Word O LORD, put me not to shame. 32- I will run the way of Your Commandments, for You will enlarge my heart making me wiser, expanding my understanding. PSALM 119.33 Teach me O LORD The Way of Your statutes. Teach me The Way to live and act, and I will keep it to the end. 34- Give me understanding, and I will keep Your Law. Yes, I will observe it with my whole heart. 35- Cause me to walk in Your Commandments, for that is my delight. 37- Turn away my eyes from beholding vanity, and establish my life in Your Way. 40- Behold, I have longed for Your Laws. Establish me in Your righteousness. PSALM 119.41 Let Your mercies come also unto Me, O LORD, even Your Salvation according to Your Word. Salvation in Hebrew in this Verse is TEH’SHOO’AH meaning deliverance, help, safety, victory, and Salvation. Salvation in Hebrew is also Yeshua The Name of GOD The Messiah. 42- I shall have an answer for those who taunt me, for I trust in Your Word. 43- Do not take away my power to speak The Truth, for I have put my hope in Your Laws, and in Your rulings. 44- And I shall keep Your Law continually, forever and ever. 45- I will walk at liberty, free from sin and death, for I seek Your Law. 46- I will speak of Your Laws and Your Word before kings, and I will not be ashamed. 47- And I will delight myself in Your Commandments which I love, and will meditate on Your Ways. 48- And I will lift up my hands to Your Commandments which I love, and will meditate on Your Laws. PSALM 119.49 Remember The Word unto Your servant upon which you have caused me to hope. Word in Hebrew is DAH’VAHR and has many meanings such as Commandment, Decree, and Promise. Thus the writer says, remember Your Promise to Your servant upon which You have given me to hope. 50- Your Word and Your Promise in my affliction is my hope, for Your Word has revived me, and You have restored my life. 51- The proud have greatly insulted me, but I have not turned away from Your Law. 52- I have remembered Your Laws and Your justice of old, O LORD, and they have comforted me. 53- Horrors rage, and fury has taken hold upon me because the ungodly forsake Your Law. 54- Your Laws have become my songs wherever I dwell. 55- I have remembered Your Name, O LORD, in the night, and have kept Your Law. 56- This comfort I have because I have kept Your Law. PSALM 119.57 You are my portion, O LORD; I have said, I will keep Your Words. Portion in Hebrew is KHAY’LEK meaning inheritance. And GOD is our inheritance. By Him we inherit everlasting life. By Him, we will see GOD’s Face, Yeshua The Messiah. And by GOD The LORD we will be in His likeness. And by GOD we inherit all things. (Matthew 19.29) GOD must be first in our life, before everybody, and everything. 58- I beg Your favor with my whole heart. Be merciful to me according to Your Word. 59- I have considered my ways, and turned to Your Laws. 60- I hurried, and did not delay to keep Your Commandments. 61- Even when the cords of the wicked are wrapped around me, I have not forsaken Your Law. 64- Your mercy O LORD, fills the earth. Your Laws teach me. The word well in Hebrew is TOVE meaning good, beautiful, best, better, bountiful, cheerful, at ease, be in favor, fine, glad, gracious, joyful, kindly, loving, pleasant, precious, prosperity, and sweet. You have dealt Well with Your servant, O LORD, according to Your Word. 71- It is good for me that I was afflicted that I might learn Your Laws. 72- The Law of Your Mouth is better to me than thousands of gold and silver. 81- My soul longs for Your Salvation, for Your Yeshua, and I hope in Your Word. 89- Forever O LORD, Your Word is established in Heaven. 92- Unless Your Law had been my delights, I should then have perished in my affliction. 97- O how I love Your Law. It is my meditation and my devotion all the day. 103- How sweet are Your Words to my taste, yes, sweeter than honey to my mouth. 105- Your Word is a lamp unto my feet, and a light unto my path. GOD’s Word and His Law guide us in The Way we should go. 114- You are my hiding place, and my shield. I hope in Your Word. 126- It is time for You to act, for they have made void Your Law. 127- Therefore I love Your Commandments above gold, yes, above fine gold. 130- The entrance of Your Words give Light. It gives understanding to the simple. 138- Your Laws that You have commanded are righteous, and very faithful. 142- GOD’s righteousness is an everlasting righteousness, AND HIS LAW IS THE TRUTH. 152- Concerning Your Laws, I have known from long ago that You have founded them forever. 155- Salvation is far from the wicked, and far from the ungodly for they do not seek Your Laws. 165- Great peace have they which love Your Law, and nothing will cause them to fall. 172- My tongue shall speak of Your Word, for all Your Commandments and Laws are righteousness. Those are the words of a GODLY man who is evidence of The Words Yeshua The Messiah spoke in John 14.15. “If you love Me, Keep My Commandments”, seeing that Yeshua is GOD Almighty, The Holy One of Israel. So let’s read EXODUS 34.20-21, but starting with VERSE 19. All that open the womb in Israel, that is, all that open the womb of the Jewish People, both male and female belong to GOD. And in so doing, The LORD GOD has made the firstborn Holy to Him. Also the firstborn of the farm animals that are male belong to GOD. Today, Judaism has a ceremony for the redemption of the firstborn male child called pidyon haben, redemption of the firstborn son. And to redeem their son back from The LORD, the family usually pays a redemption price of five silver dollars to the kohayne, the priest who performed the ceremony. But GOD has a better ceremony today that we will address in a moment. And Exodus 34.20 continues with The LORD saying to Moses, “And none shall appear before Me empty”. I know that many Bibles read, “And none shall appear before Me empty handed”. Empty handed is not correct, and not according to the original Hebrew that reads, “And none shall appear before Me empty”. Empty in Hebrew is RAY’KAHM meaning empty, containing nothing. So what does GOD mean when He says, “And none shall appear before Me empty”? Well quite frankly I thought that since many of The Bibles read, “And none shall appear before Me empty handed”, that the firstborn sons had to be redeemed by an offering of a sacrifice to The LORD. Therefore I thought the families must appear before GOD with an animal to sacrifice. But I realized that was wrong because the redemption price was five shekels after the shekel of the sanctuary. And in all likelihood paid to the High Priest or the Priests. Numbers 18.16. So I started looking up the meaning of words, especially the meaning of the word empty. Again empty in Hebrew is RAY’KAHM meaning empty, containing nothing. Empty also means emptily, symbolically meaning someone who is ineffectual, not adequate to accomplish a purpose, undeserved, not worthy, not qualified, and vain. Literally running on empty. So with that understanding, I believe that when GOD says, “And none shall appear before Me empty”, GOD means we must have faith in GOD, believing in The LORD. Today, belief in Messiah Yeshua Who is The LORD GOD. And we must be filled with The Word of GOD, and His Torah, The Law of Moses, living according to all The Law. Joshua 1.7, Matthew 4.4. Being like the great ones of The Bible, Noah, Enoch, Abraham, Isaac, Jacob, Moses, Joshua, David, the Prophets, Ruth, Deborah, Miriam, Martha, the disciples, and the apostles, and Yeshua The Messiah Himself, and many others. All having great faith in GOD, fearing The LORD our GOD, walking in all His Ways, loving Him, and serving The LORD our GOD with all our heart, and with all our soul. Let’s return to the subject of the redemption of the firstborn son. Today, we, men and women who believe in the Jewish Messiah Yeshua, living our life according to GOD’s Law of Moses, are not redeemed with money because The LORD GOD, The Redeemer of Israel has Redeemed us without money. The price that GOD paid to redeem us was His Life. His blood, that He purposely shed on a Roman cross in Jerusalem in the Person of The Jewish Messiah Yeshua. We are redeemed by the LORD OUR GOD. HE has bought us back by the shed blood of Messiah Who not only is our Atonement for the forgiveness of all our sins, He is our Redeemer. We are redeemed to GOD by His sacrificial death on a cross. We belong to GOD. We are Holy to Him. And we will be with The LORD OUR GOD, Yeshua The Messiah, The Redeemer, The Holy One of Israel forever and ever throughout eternity. How unsearchable is His Love? The Hebrew word for rest is SHABBAT. And Shabbat or Sabbath means rest. Look. GOD is persistent in His teachings. He repeats Himself often in many of His instructions. The LORD GOD insists on obedience to His Word and His Torah, The Law of Moses. And He is firm in our being obedient to His Sabbath on Saturday, the seventh day of the week. Six days you shall work, but on the seventh day (which is Saturday) you shall rest. In plowing time and in harvest you shall rest. Meaning, the Sabbath takes priority even during the busiest of times in our life. Israel was an agricultural country in Biblical times. Even when Israel built the Tabernacle in the wilderness, and the first and second Temples in Jerusalem, they rested on the Sabbath. The Law of GOD’s Sabbath applies to everybody, Jewish and non-Jewish people. All mankind. The words Sabbath and Sabbaths are written some 172 times in The Bible. 112 times in Tnakh, The Old Testament Scriptures, and 60 times in The New Testament. And GOD NEVER changed the weekly Sabbath to Sunday. And never will. Observing GOD’s Sabbath on any other day other than Saturday is sin. And for that reason, I cannot understand why so many Bible Teachers, and Preachers and Pastors who study The Bible daily will not receive GOD’s Law that the weekly Sabbath is Saturday, and not Sunday. And astonishingly, they continue to teach their flocks that GOD changed His weekly Sabbath to Sunday. Therefore leading them into sin, along with themselves. Deuteronomy 28 teaches, by the way, The Bible, The Old Testament and The New Testament is written to the world, not just to Israel. GOD created the heavens and the earth. He created all the nations and the people in them. And GOD is King over all the earth. We should heed what He says. And GOD appointed Israel, the Jewish people to be His witnesses to the world to tell the nations about GOD, to hear Him, and obey Him. See Isaiah 43.10.
o ride upon the high places, poetically meaning I believe, GOD will bless you, and give you good success. And He will feed you with the heritage of Jacob, giving you all His blessings, promises, and covenants. For the Mouth of The LORD has spoken it. ISAIAH 56.1-2 Blessed is the man and woman that keeps GOD’s Sabbath on Saturday, and does not pollute it, does not defile it by breaking GOD’s Law. Evil is sin. Breaking Torah, GOD’s Law of Moses is sin. ISAIAH 56.6-7 GOD blesses the stranger, non-Jewish people who join themselves to The LORD, to serve Him, who keep His Saturday Sabbath from polluting it, who keep His Covenant, His Word, and His Law, Psalm 105.8-10. Them will He bring to His Holy mountain in Jerusalem and make them joyful in GOD’s House of prayer, and their Sacrifice that today is The Messiah Yeshua, will be accepted. That is, if you keep GOD’s Sabbath on Saturday, and obey His Covenant, His Word and His Law of Moses, GOD will accept your Sacrifice Who is Yeshua The Messiah, your Atonement, your Redemption, and your Salvation. LEVITICUS 23.1-3 The Saturday Sabbath is a Feast of The LORD. It is not a Sabbath for Jewish people only. GOD’s Sabbath is for everybody. It is an appointed time of The LORD. His Sabbath is appointed to be Saturday every week. It is a Holy convocation, meaning Sabbath is a Holy gathering, a time for a service to honor The LORD Your GOD. And you will always be blessed when you honor GOD, and obey Him. Let’s look at HEBREWS 10.25. By coming together on the Sabbath, honoring GOD, we exhort one another. Hopefully we comfort one another, and pray for one another. DEUTERONOMY 5.12-15, 29 It will be well with you and your children forever when you obey GOD, and keep His Sabbath on Saturday, from sundown on Friday night, to sundown on Saturday. You shall keep the Sabbath for it is Holy to you. Everyone that defiles it shall surely be put to death. Whosoever does any work in that day will be cut off from His people. MARK 1.21 All who believe in the Jewish Messiah Yeshua, should be like Messiah. They should observe the Sabbath in a Synagogue. Preferably a Synagogue that is Messianic that believes in The Messiah Yeshua, and teaches Moses, The Law of Moses. The Churches are closed on Saturdays because they don’t teach GOD’s Sabbath. The blessing here? When we follow Messiah Yeshua, Who teaches us to lead a righteous life, Matthew 13.40-43, etc., walking in GOD’s Statutes, doing that which is lawful and right, GOD says, We will surely live. We shall not die. Ezekiel 18.21. MARK 16.1-2 Mary Magdalene, and Mary, or Miriam the mother of James and Salome or Shalom, kept the Sabbath as GOD commands. All Messiah’s disciples and apostles kept GOD’s Saturday Sabbath. If they didn’t, they would have had no part with Yeshua. MARK 16.9 Yeshua rose on Sunday the first day of the week, because Saturday is GOD’s Sabbath, a day of rest. Then you will observe The Sabbath in The Millennium. You will see the prince, King David, Ezekiel 34.23-24 enter The Temple at the eastern gate. And you will worship before The LORD YOUR GOD, Yeshua The Messiah at the door of the eastern gate in the Sabbaths, and the new moons during the 1,000 year Millennium. EZEKIEL 46.1-3 The Sabbath continues in The Millennium. And the eastern gate in the inner court of The Millennial Temple will be shut the six working days. But on the Sabbaths, and the day of the new moon, it will be opened. And the prince, King David, will enter The Temple by the eastern gate. And the people, including you and me, will worship before Messiah Yeshua at the door of the gate. And throughout eternity in Heaven, GOD will dwell with you, and you will be among His people, and He will be your GOD. Revelation 21.3. And you will reign with Him as Kings and Priests forever and ever. Revelation 22.5. And you will appear before GOD, Accepted in the Beloved.